Faculty Expert –Visiting Professor Arnold Rochvarg draws upon his Watergate experience to explain terms and issues in the ongoing Mueller probe. Ongoing investigations in Washington and New York City have dominated headlines since spring of 2017, replacing watercooler talk of sports and the weather with debate over constitutional issues, obstruction of justice and the definitions of collusion vs. conspiracy. Visiting University of Houston Law Center Professor Arnold Rochvarg has first-hand experience with many of these issues and legal terms. As a young lawyer in1975, he served on the defense team appealing the conspiracy to obstruct justice conviction of a Watergate defendant. Rochvarg, professor emeritus at the University of Baltimore School of Law, has published two books and several law review articles on the Watergate scandal, as well as making presentations on Watergate to various groups. 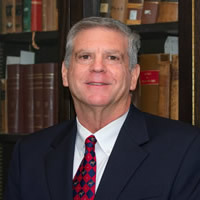 He served as special counsel to the American Association of University Professors, and has served as a consultant on a variety of matters with government agencies, private law firms, and public interest organizations. A graduate of the University of Pennsylvania and George Washington University School of Law, he is teaching Professional Responsibility during the spring semester at the Law Center. Rochvarg draws upon his expertise in criminal law and his personal knowledge to explain legal terms and procedures and compare and contrast the Watergate scandal and Mueller investigation. Q.) Can a sitting president be indicted? A.) The only certain answer to this question is that there is no certain answer. The Supreme Court has never ruled whether a sitting president can be indicted. This question is being asked today because several reports indicate that President Trump may have acted criminally both before taking office and after taking office. Arguments on both sides of this issue have been presented. Those supporting the "no indictment" position point to Department of Justice memos that date back to 1973 which state that a sitting president cannot be indicted. The reasoning is based on the president's duty to execute the laws and to function as commander in chief of the military. Being president is a fulltime 24/7 job, and requiring the president to defend himself at a criminal trial would take time away from his constitutional duties. Moreover, if the president were convicted and sent to jail, this in effect would serve as removal from office, and the Constitution makes clear that the president can only be removed from office by the impeachment process which is within the exclusive power of Congress. On the other hand, we are a country that believes in the rule of law, and that no person is above the law. Being elected president is not a "get out of jail free" card. The Constitution does provide immunity for members of Congress in Article 1, section 6, but there is no such clause for the president. Additionally, the 25th amendment provides for the circumstance when a president is unable to discharge the duties of the presidency. Although the traditional view is that this amendment applies to medical situations involving the president, it might also be applied to a president on trial or in jail. Those who believe that a sitting president is subject to indictment and trial also point out that the DOJ memos do not have the force of law. The DOJ memos merely provide guidance for future application. Others also note the self-serving nature of the DOJ memos which were written by presidential appointees. This same issue was central to the Watergate scandal and President Nixon. The special prosecutors office under both Archibald Cox and Leon Jaworski researched and debated whether Nixon could be indicted while still president. My understanding is that although there was a split among those in the special prosecutors office, the majority of those involved believed it was legal (and appropriate) for Nixon to be indicted. The final decision was for Jaworski, however, and he decided that Nixon should not be indicted. My opinion is that a sitting president can be indicted, but that any trial must wait until after removal by impeachment or the end of the president's term of office. An indictment is a charge by a grand jury that a defendant has committed a crime and should be sent to trial. An indictment does not require an immediate trial. Indictments can also be kept secret, "under seal." Therefore, my view is that if a grand jury is presented sufficient evidence that a president has committed a crime, the grand jury should indict the president. The trial itself should wait, however, until after impeachment or end of the president's term. Q.) What is meant when a grand jury names someone as an "unindicted" defendant? A.) Although Special Prosecutor Jaworski refused to seek an indictment of President Nixon while he was still in office, Nixon was named in the indictment of several of his associates as an "unindicted co-conspirator." Why was this done? My opinion is that it served both political and strategic objectives. Politically, Jaworski was responding to those who were outraged, or at least very disappointed, that the special prosecutor had taken the position that a sitting president could not be indicted. Remember, Jaworski's decision not to indict Nixon was not based on Jaworski's belief that Nixon was not guilty of any crime, but that sitting presidents should not be indicted. Naming Nixon as an unindicted co-conspirator showed that Jaworski thought Nixon was guilty of the crime of conspiracy, but that he could not be tried. Nixon was still in office at the time of the indictments. Strategically, naming Nixon as a co-conspirator, albeit an unindicted one, was crucial to the prosecution's use of the White House tapes against the indicted defendants at the Watergate conspiracy trial before Judge John Sirica. Statements made by Nixon on the tapes would be inadmissible hearsay statements at trial unless an exception to the hearsay rule existed. One of the most important exceptions to the rule that hearsay statements are not admissible is the co-conspirator exception. Hearsay statements of one conspirator are admissible against other conspirators. The conspirator whose hearsay statements are offered at trial need not be an indicted conspirator—just a proven conspirator. Therefore, at the Watergate conspiracy trial of defendants John Mitchell, John Ehrlichman, H.R. Haldeman and Robert Mardian, Nixon's hearsay statements were ruled admissible after sufficient evidence establishing Nixon as a conspirator was introduced. Nixon resigned after the indictments but a few months before the actual Watergate conspiracy trial. Once he resigned, he could have been indicted and tried along with the others. A debate within the special prosecutors office once again ensued after Nixon resigned as to whether he should be indicted. It seemed that Jaworski was leaning against indictment. The issue was made moot however when President Ford pardoned Nixon shortly after Nixon's resignation. The pardon occurred about a month before the conspiracy trial began. Nixon was listed as a defense witness by several of the defendants. Nixon, however, became ill at his home in California. Sirica had doctors examine Nixon. The doctors reported that Nixon was unable to travel to Washington, D.C., to testify, and would be unable to travel for several months. Sirica refused to postpone the trial, and the trial concluded without any testimony from Nixon. His words, however, were prominently heard through the White House tapes. Sirica's refusal to postpone the trial in order to permit Nixon to testify was argued as a basis to reverse the convictions of several of the convicted defendants, but this argument was not successful on appeal. Therefore, it can be seen that naming a sitting president as an unindicted co-conspirator has both political and strategic advantages. No jeopardy attaches to an unindicted co-conspirator, so absent a pardon, once the president leaves office through impeachment, resignation, or end of term, the president could be indicted and tried. If not himself a defendant, the president could be called as a witness (prosecution or defense) in a case against others. Q.) Why is the crime of conspiracy so important to the ongoing Trump investigation? A.) In considering future criminal proceedings arising from the current investigations of President Trump and his political and business associates, the key crime in my opinion is conspiracy. Conspiracy is a statutory federal crime. Conspiracy has long been used by prosecutors to convict persons even when proof of commission of other crimes may be lacking. The defense bar has long criticized reliance by prosecutors on charges of conspiracy, but conspiracy continues to be a well-accepted tool for prosecutors. Conspiracy is a separate crime by itself. Someone can be convicted of conspiracy without a conviction or even a charge of another crime. For example, the Watergate defendant on whose appeal I worked, Robert Mardian, Nixon's assistant attorney general for internal security, was charged (and convicted) of conspiracy to obstruct justice, but never charged with obstruction of justice (Mardian's conspiracy conviction was reversed on appeal). The prosecution did not have the proof that Mardian obstructed justice, but they did offer evidence that he conspired with others to obstruct justice. Other Watergate defendants convicted of conspiracy were also convicted of crimes such as perjury and obstruction of justice, but as Mardian's case illustrates, commission of another crime is not necessary for the prosecution to obtain a conviction for conspiracy. How is this relevant to the Trump investigation? There is much talk about "collusion." Collusion is not a crime. The relevant crimes at issue it seems to me are campaign financing violations, obstruction of justice, and lying to Congress or the FBI, along with conspiracy. The crime of conspiracy is defined in part as an agreement between two or more persons to commit a crime. But the underlying substantive crime need not be committed or even attempted. If the substantive crime is committed or attempted, defendants will be charged with multiple crimes including conspiracy. But a single count conspiracy indictment is also permitted. In the Trump matter, it may be easier for the prosecution to prove that Trump and his associates agreed to engage in certain campaign finance violations or to obstruct law enforcement investigations without having to prove actual obstruction or any campaign violations. Conspiracy is the prosecution's best friend. Q.) How are the Watergate scandal and the Trump investigation similar? How are they different? A.) The Trump investigation is another example of how history repeats itself. Both the Watergate scandal and the Trump investigation involve acts which were aimed at influencing the electoral process and the election of a president. In both situations, those involved in the attempt to investigate the facts of what happened were removed from their positions by the person being investigated (Special Prosecutor Cox; FBI Director Comey). In both cases, offers of clemency and pardons were floated in order to hide the truth. In both cases, close associates decided it was in their own best interests to cooperate with the prosecutors (John Dean; Michael Flynn; Michael Cohen). In both cases, each president had strong supporters who believed that the entire investigation was a political witch hunt by those who had just lost an election. Although there is often talk of Republicans who did call for Nixon to resign, this only occurred at the very end of the battle. For most of the Watergate scandal, Republicans stood by Nixon. And in both matters, major accusers were called liars and had their reputation besmirched. After Dean testified before the Ervin Committee, he was aggressively attacked as a liar trying to save his own skin. Haldeman in his testimony before the same Senate committee called Dean a liar when Dean testified about Nixon's response to paying $1 million in hush money. The White House tapes proved Dean was correct; Haldeman was convicted of lying to Congress. Today, Michael Cohen is being attacked as a liar. We know that Cohen made some tapes of his conversations with Trump. As more tapes come to light, we may see a situation similar to Watergate. There are significant differences, however, between the two scandals. To my understanding, Watergate did not involve allegations that Nixon would benefit financially from his wrongdoing. That issue is very much an open question with Trump. Moreover, Watergate seemed so secret compared to the Trump investigation. The most damaging evidence against Nixon were in the White House tapes which Nixon vigorously fought to keep secret. It was not until the Supreme Court ordered the tapes' disclosure in U.S. v. Nixon that the facts that led to Nixon's resignation were known. On the other hand, it often appears that Trump himself presents the most damaging evidence. For example, it was Trump who told NBC's Lester Holt that he fired James Comey because of Comey's Russia investigation. It is still too early to identify all the similarities and differences between Watergate and the Trump investigation. Moreover, whether the end result will be the same is uncertain.